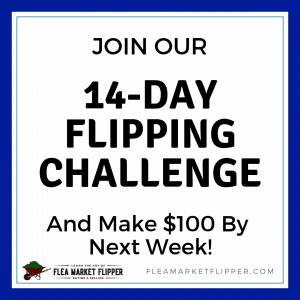 December flip totals have been in for a little while now (and they were all eBay flips), but we have been so focused on creating videos lately that I haven't put the income report together yet. To be honest I almost decided not to post it. I wasn't super stoked with the totals and I thought I could just skip it. But how could I skip 1 month out of the past 12? I have been consistent with posting these for the last year, so I can't stop now. Plus, it's not really fair to post the good months and leave out the not-so-good months. In December we sold 4 items for a total of $2,139. Not quite our $12,220 month, but we will take it since our priorities were elsewhere last month. 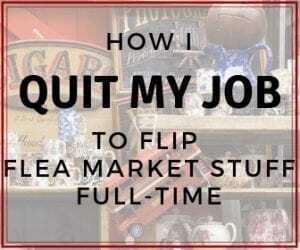 If you are new around here, we wanted to let you know why we post these flea market flipping income reports. 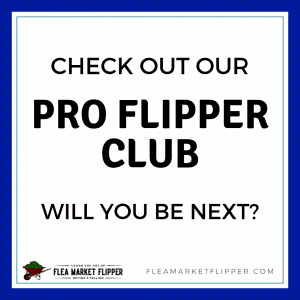 If you are part of the flipping fam already, you can scroll down to see this months flips. 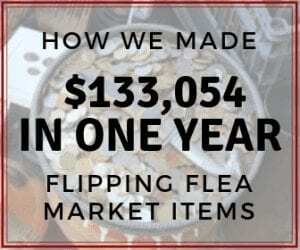 We decided to start posting our income reports here from Flea Market Flipper for several reasons. The first one is to keep ourselves accountable. 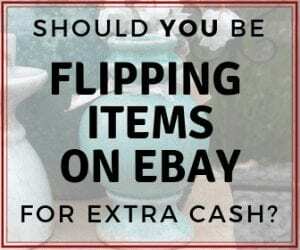 I have been flipping items for profit and selling on eBay for over 20 years now, and had never kept good track of what I made. It is pretty popular in the blogging world for bloggers to post their income reports, and we always found it encouraging to read those. They help us keep going when sometimes we would rather be doing other things, so we are hoping to help the reseller out there keep going! Onto to the eBay flips! The next item was a water rower machine. 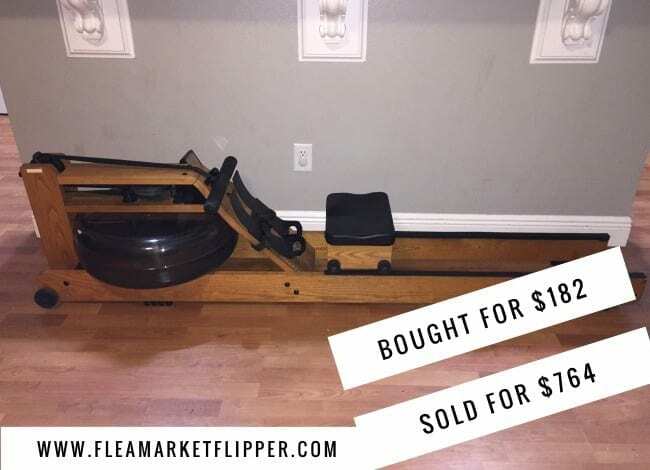 I found this rower while scrolling through Offer Up one night (one of my favorite nightly hobbies). I made arrangements the next day to go and check it out. I ended up picking it up for $160. The owner said that the computer wasn't fully functioning, it would power on but then not record a session. When we brought it home I noticed there was a loose wire, so I just secured it back in the wiring harness and it worked great! I listed the rower on eBay for $850 with $150 shipping, but ran a Christmas sale on my eBay store, so the rower ended up selling for $764. The buyer ended up being a local and came and picked it up instead of us having to ship it anywhere. I did a little video on this one to highlight it as the flip of the week. The next item was a pair of commercial exercise machines: an elliptical and a bike. 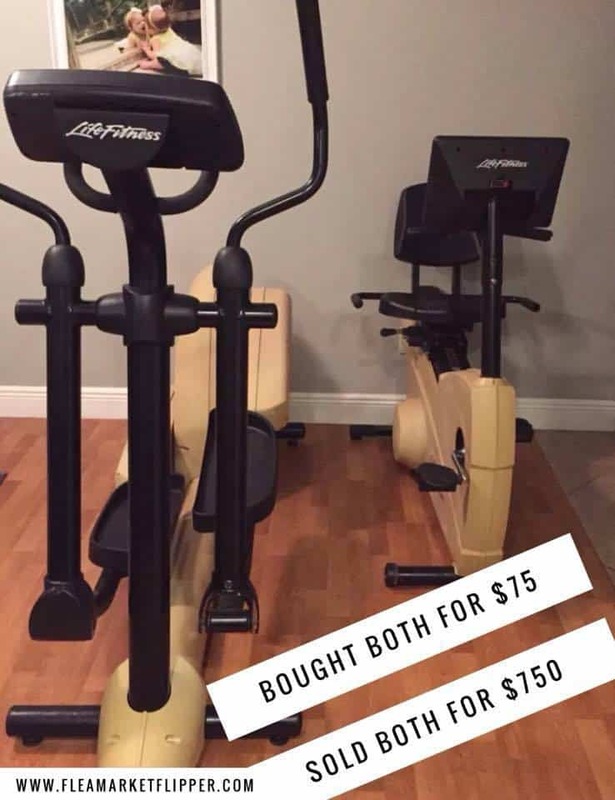 (You can tell January was approaching with the exercise equipment selling ;)) These were nice Life Fitness machines, they were older models, but worked great! 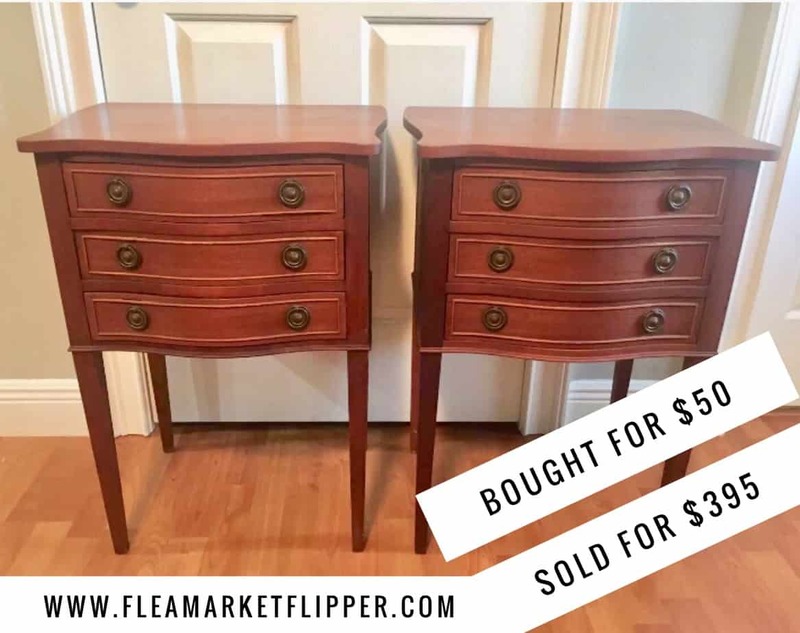 We sold the pair for $750. She was able to sell them for $395 on eBay. The Life Fitness machines and the night stands were sold while we were away on vacation. Melissa and I both had to contact the buyers and ask if it would be ok to ship them when we got home (and hoped they weren't supposed to be Christmas presents). 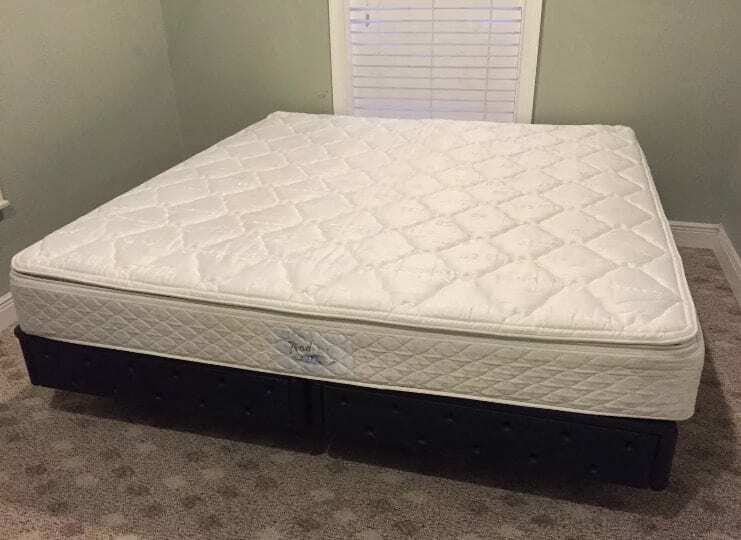 Both buyers were great and told us it was fine to ship them when we were back home two weeks later. When we got back from Colorado, we put the exercise equipment on a pallet and shipped it to Washington State. The end tables were boxed up and shipped to Michigan. One of the most frequent questions we get asked is how we ship large items that we sell on eBay. You can download our 5 Steps to Get Started with Freight Shipping if large item shipping interests you. 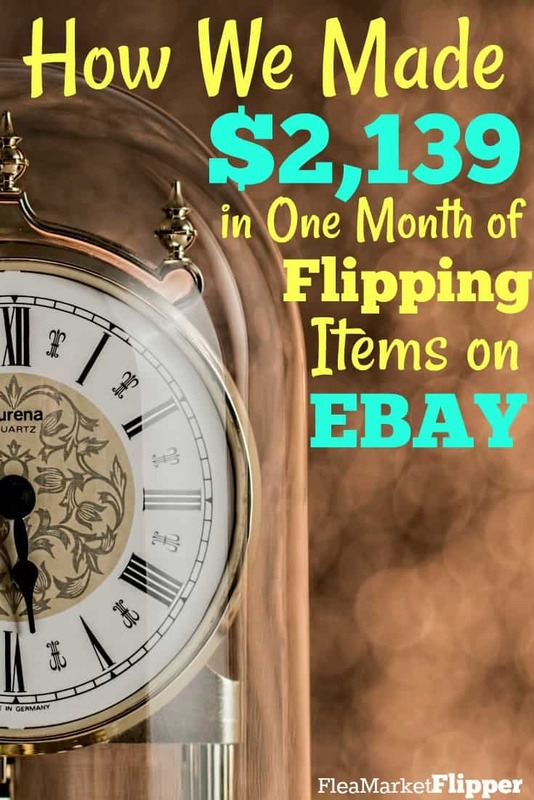 This will also add you to our flea market flips and eBay tips that we e-mail out 1-2x per week. You can unsubscribe anytime. 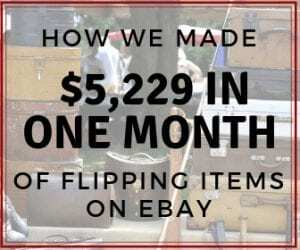 If flipping items for profit is something you are interested in doing, check out our free 5-Day intro e-mail course to help you see if this is something for you. Are you already an eBay reseller? Or is it something you would like to get started with? Drop us a comment below! Investment only $327 where Monthly profit: $1,534! It’s so brilliant! I have downloaded your 5 Steps to Get Started with Freight Shipping. Those 5 steps are really clear instructional and useful for us!